How much will the driving instructor training cost? 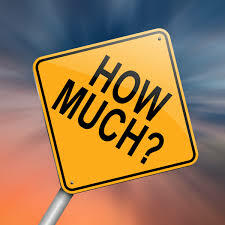 How much will ADI Driver Instructor Training cost? We can offer you two ways to meet the cost, pay in full and reap the benefits or pay as you go. *We will pay for your second test for the Part 2 and Part 3 course, providing you have taken a minimum of 10 hours training for each course and reached the required standard by assessment of a mock test. We first urge you to sample a Part 2 and a Part 3 lesson free before committing. We require 48 hours cancellation notice for any lessons booked in advance. Otherwise the fee paid will be fore fitted. Refund for payments made in advance for any remaining lessons for the full course will only be honoured upon receipt of a medical certificate from a registered GP or a registered medical organisation. Detailing that you will not be able to continue with the instructional training for a minimum of six months. If you feel that you have been misled in anyway by Streetwise Instructor Training, then you will need to lodge an official complaint to the DSA ADI ORDIT Section and your complaint will be dealt with accordingly.